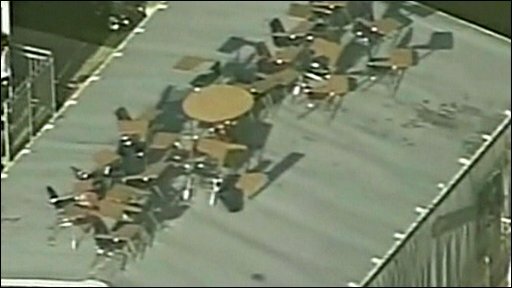 Pupils at a school in the US broke into their portable classrooms and placed their chairs and tables on the roof. Aerial footage and mobile phone pictures reveal how much furniture they were able to move in the prank which teachers think occurred overnight at Cypress Creek High School in Orange County, Florida. Principal, Susan Storch, said the incident had caused severe disruption to the school day and has warned those responsible may face suspension.